Max Whitlock and Louis Smith won bronze and silver medals in the gymnastics. 14. 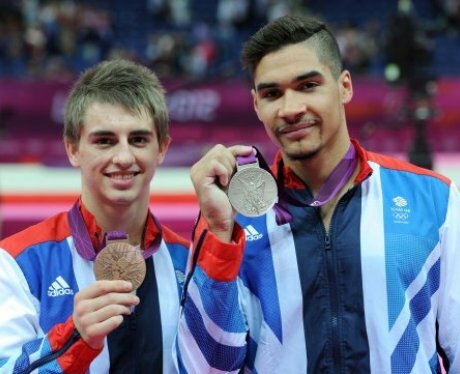 Max Whitlock and Louis Smith won bronze and silver medals in the gymnastics.